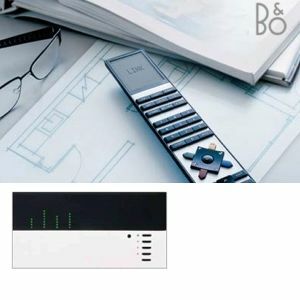 Lutron Grafik Eye GBO-3100 controller for Bang & Olufsen incorporates B&O IR control interface, otherwise it works as the standard Lutron Grafik Eye GRX-3100 series. The Lutron Grafik Eye GBO-3100 controller is the lighting system to work in conjunction a Bang & Olufsen AV installation. If you are looking for a quality lighting system, Bang & Olufsen compatible, modern style, simple operation, then the Lutron Grafik Eye GBO-3100 controller will be a perfect addition to your home.